The 5th Language Creation Conference took place on May 4 and 5, 2013 in Austin, TX. The conference was hosted by the UT Language Creation Society in Austin under the local direction of Alex Sands. 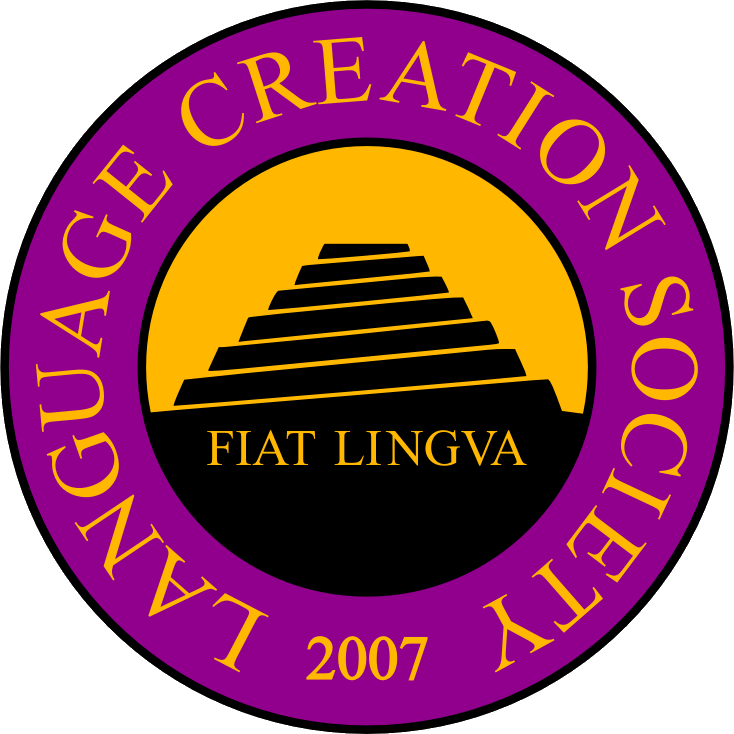 The Language Creation Conference (LCC) is a set of talks and panel discussions about various issues related to language creation, from several different perspectives. It includes both fairly academic linguistic discussions as well as more general sociological ones; voices from many parts of the conlanging community; and people from all over America. The conference is open to the public; preregistration requested. Lunch and snacks will be provided. Language creation (or “conlanging” — “conlang” is short for “constructed language”) is the process of inventing and (usually) describing a new language. Though the extent to which a language is created varies, creators might include sound systems, grammars, and writing systems for their languages. Some creators are also interested in cosmogenesis: the creation of cultures and worlds in which their languages are used. People create constructed languages for a number of reasons. Artistic languages are often included in fictional works: for example, Tolkien’s Quenya in The Lord of the Rings or Klingon in Star Trek. International auxiliary languages (auxlangs) are intended for communication between people of different native languages, usually to prevent one being elevated over others or to making learning easier; some famous examples are Esperanto, Ido, and Interlingua. Logical and philosophical languages are used to test linguistic (and other) theories; Loglan and Lojban are well-known examples of the former, and Suzette Haden Elgin’s Láadan is an example of the latter — which she incorporated into the Native Tongue series of novels. The LCS expects all attendees to abide by the LCC Code of Conduct.